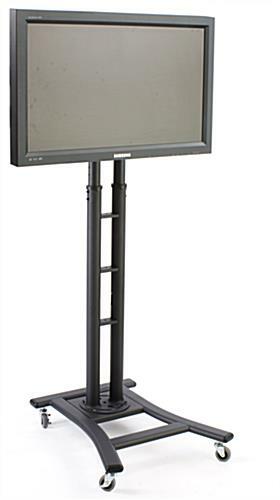 This LCD cart is made to hold 37" - 65" screens at the perfect angle for viewing. 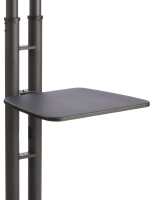 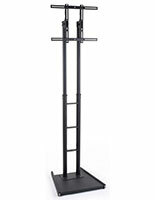 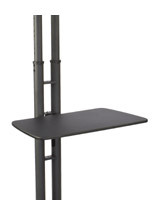 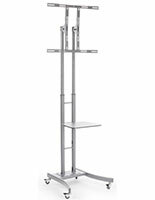 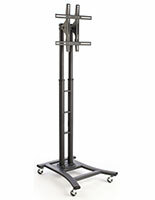 The aluminum stands are height adjustable between 44" and 71" inches with 8 preset positions. 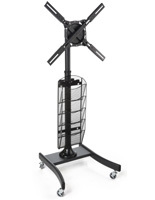 Each black cart has locking wheels to keep it secure while in use. 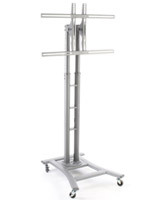 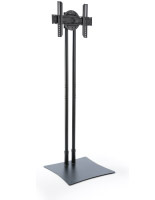 Each holder is perfect for use in lobbies, conference rooms and trade show settings. The cart is sold with all necessary hardware and tools for assembly. 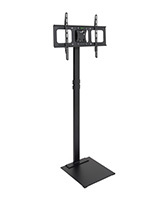 Order for your presentation settings today and easily mount your transportable monitor anywhere you go!